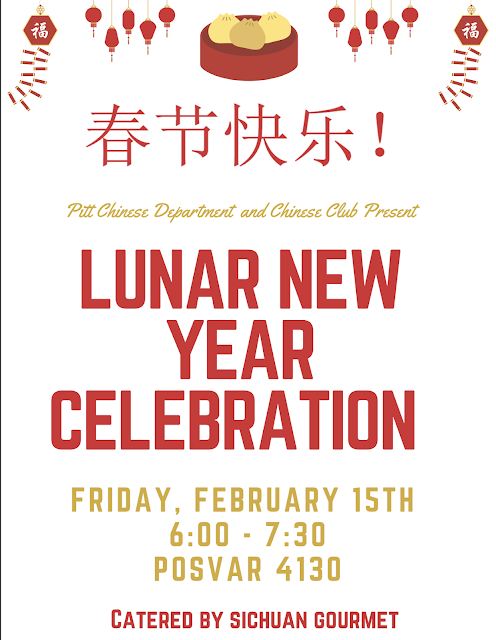 PennsylvAsia: Lunar New Year Celebration, February 15 at Pitt. The Pitt Chinese Department and Chinese Club will present a Lunar New Year Celebration on February 15. It runs from 6:00 to 7:30 pm in 4130 Posvar Hall (map).